Here's our latest High School football Top 10. 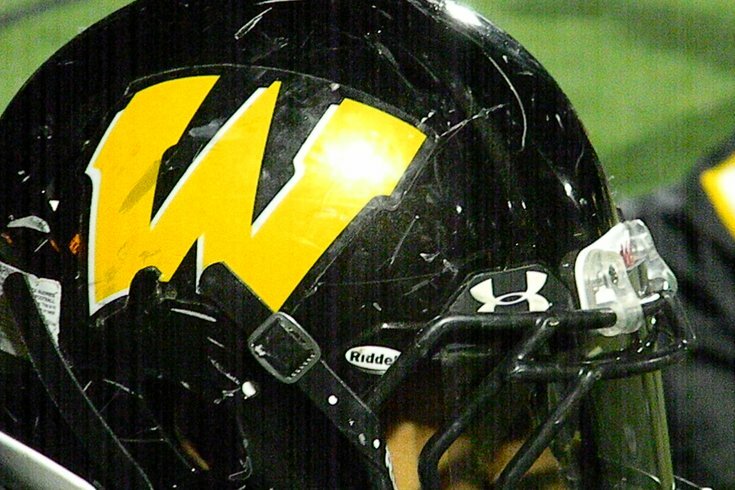 It always seems to start the same way every year for Archbishop Wood. The Vikings’ record makes everyone think that there are cracks in the wall of the Philadelphia Catholic League powerhouse. Coaching legend Steve Devlin had no fear of playing the best, and Devlin stepped down after directing the Vikings to another PIAA 5A state championship, he obviously handed that mantra down to Vikings’ new coach Kyle Adkins. The Vikings once again began the season 0-2, after taking on Maryland power McDonogh School and traditional New Jersey state power Bergen Catholic, losing by a combined 37-14. The slow start somehow always translates into something positive. This season, the Vikings are once again proving that scheduling tough early makes things easier late. Wood, 3-2 overall, will be looking for its fourth-straight victory against undefeated Archbishop Ryan, which is 6-0 and 1-0 in the Catholic League Red Division, this Saturday at 3 p.m. at George Washington High School. Wood is 19.6 points a game, while giving up an average of 12.8, while Ryan is scoring 41.3 points a game and giving up 19 a game. Ryan’s opponents have a combined record of 12-20, with three of their six victories coming against teams with one victory. Wood’s opponents are combined slightly better, at 8-15-1, with two of their opponents winless. Six weeks into the season, North Penn remains No. 1 in the PIAA District 1 6A rankings with an average of 165 points, followed now by Garnet Valley (156), Downingtown West (156), Downingtown East (153) and Coatesville (148). In 5A, Penn Wood took over for Springfield (Delco) as the No. 1 seed in Week 6, with a 155 average. Springfield (153) dropped to No. 2 after the 6-0 loss to undefeated Garnet Valley. Following Penn Wood and Springfield is surprising Radnor (150), Upper Dublin (148) and Academy Park (143). Pottsgrove remains No. 1 in 4A and Conwell-Egan supplants Pope John Paul II to top 3A. Under consideration: Academy Park 5-1, Penn Wood 5-1, Haverford High 5-1, Springfield (Delco) 5-1, Spring-Ford 5-1, Council Rock South 4-2, Archbishop Ryan 6-0, Germantown Academy 5-0, Pottsgrove 6-0.